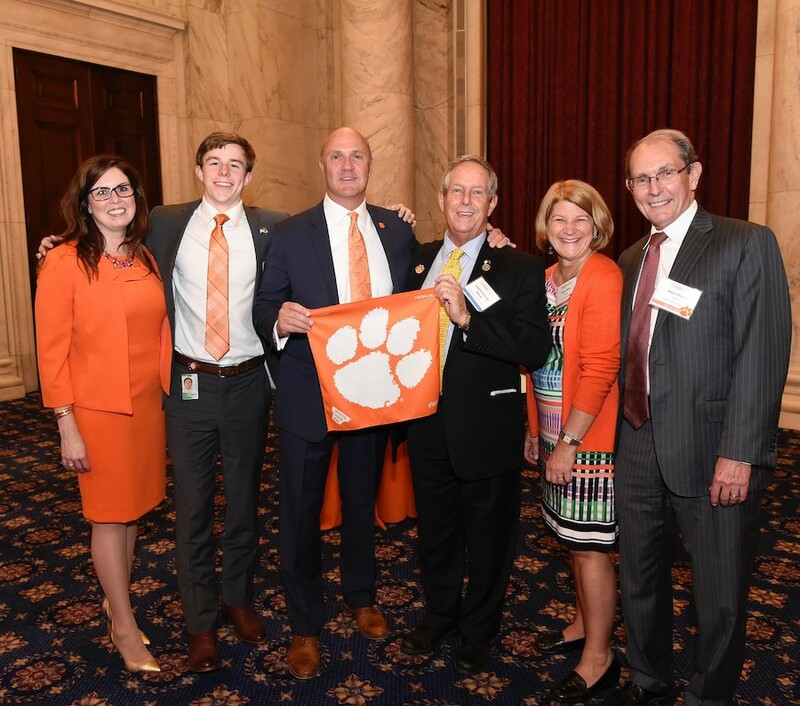 On June 13, 2018, the Baltimore/ Washington, D.C., Clemson Club hosted an evening event at the Kennedy Caucus Room of the Russell Senate Office Building in Washington, D.C. Over 125 alumni gathered along with members of Congress, members of the Board of Visitors and guests from campus for a keynote speech by President Clements. Throughout the evening, guests enjoyed refreshments and heavy hors d’oeuvres, notably the local specialty: Maryland crab cakes. 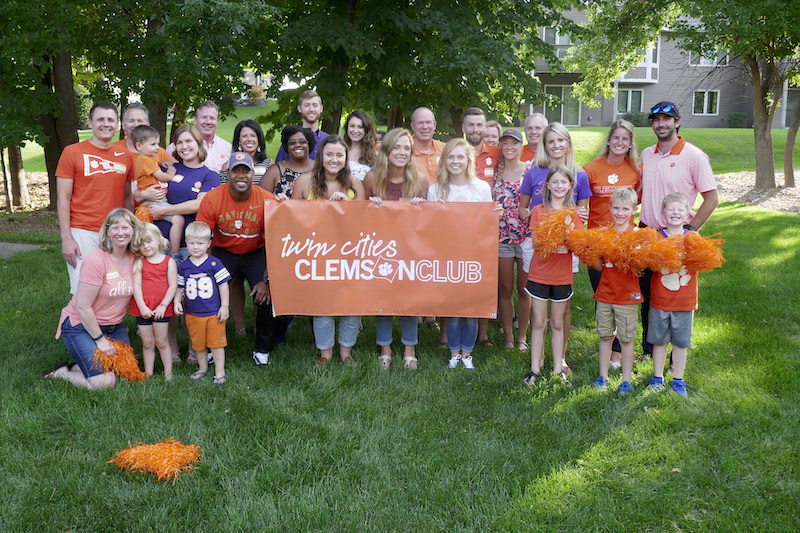 Three Clemson students in the Minneapolis-St. Paul area arrived at the Twin Cities Clemson Club student sendoff on July 29, 2018, where they met and mingled with alumni who were there to support them as they headed to Tigertown. Guests enjoyed a potluck picnic at the home of host Heather Huck ’99. 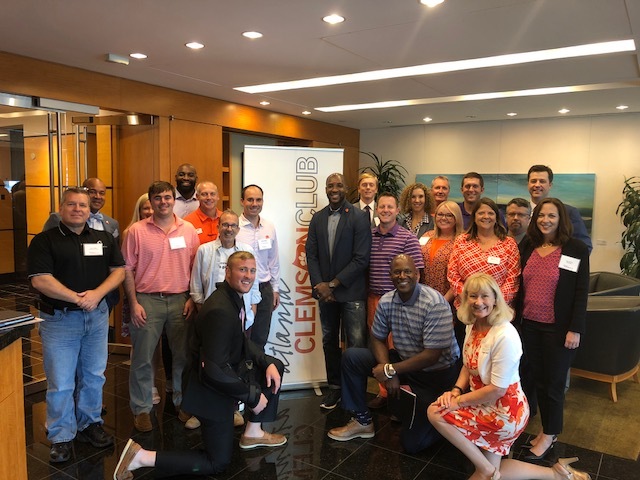 “The Twin Cities Clemson Club officially formed in 2016, and it has been awesome to see the enthusiasm for Clemson grow in the ‘Bold North,’” said club member Tyler Morey ’10. 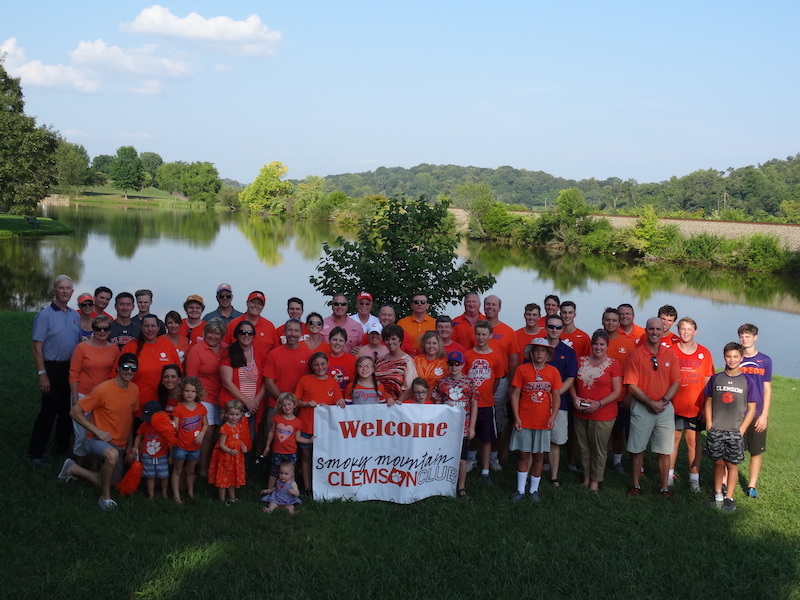 The Smoky Mountain Clemson Club hosted its fourth annual football season kickoff tailgate at the Saratoga Pavilion of Anchor Park in Farragut, Tennessee, on Aug. 26, 2018. Alumni spent time catching up and feasting on a barbecue dinner from the Holy Smokin BBQ food truck. 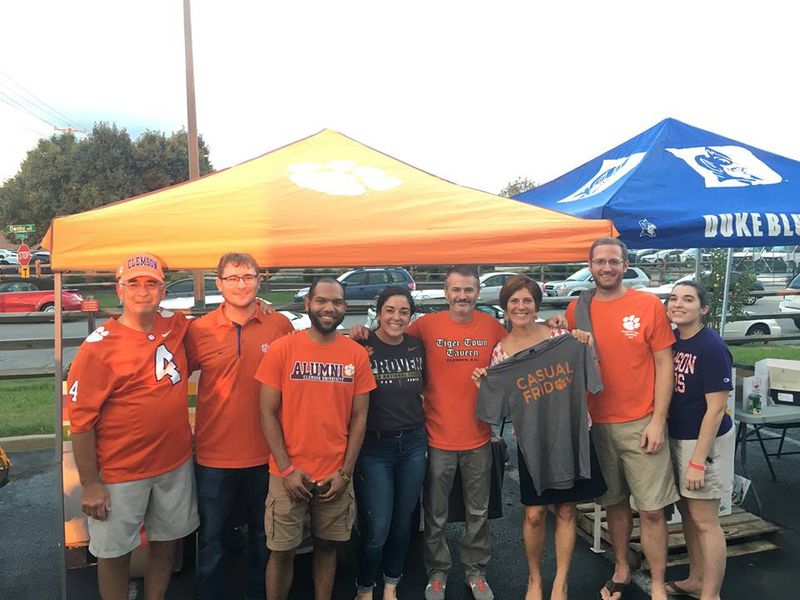 On Sept. 12, 2018, the Richmond Clemson Club participated in the Alumni Charity Challenge, a food drive that supports the Central Virginia Food Bank. The event, held at Hardywood Park Craft Brewery, brings alumni chapters from all over Virginia together to fight food insecurity in the state. The Richmond Clemson Club collected 1,462 pounds of the total 107,696 pounds collected at the event. 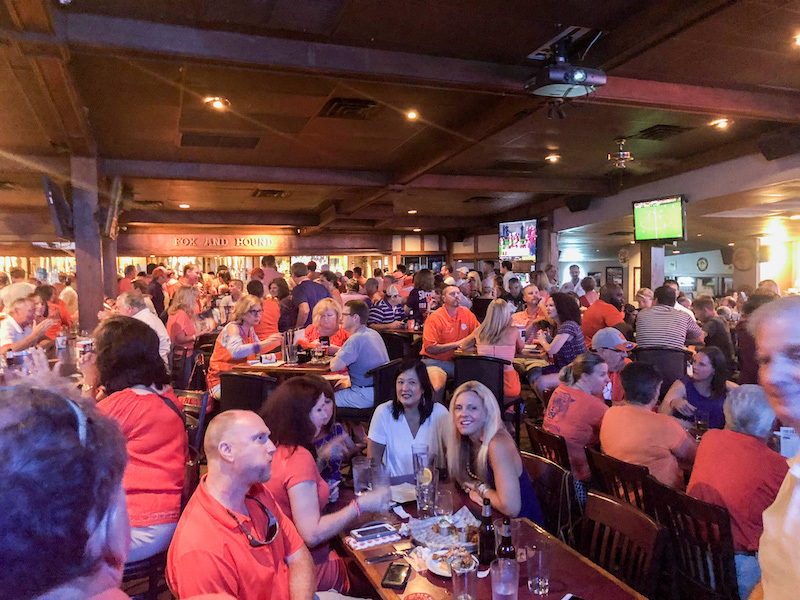 Are you looking to get involved with a local Clemson Club? Go to alumni.clemson.edu and click on “Join a Club” to find contact info, or contact Stewart Summers at ssummer@clemson.edu. The Alumni Association, IPTAY and Annual Giving collaborated to bring Clemson to Texas on Sept. 4-8, 2018. 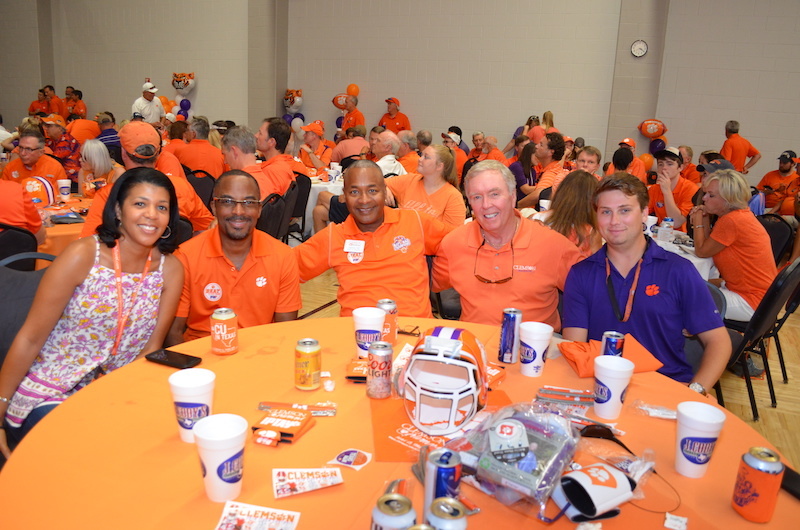 Nearly 1,000 alumni participated in four “CU in the City” events, hosted by the Clemson Clubs of Houston, San Antonio, Austin and Dallas; the events raised funds for the Tigers in Texas Scholarship Endowment, which provides scholarships for Texas-based students attending Clemson. On Sept. 7, 2018, the Friday before the Texas A&M football game in College Station, more than 400 alumni gathered at a “Welcome to the City” event. ESPN reporters spoke with club leaders and recorded several Clemson traditions, including the $2 bill and the cadence count. Many of the alumni later attended Midnight Yell Practice — a Texas A&M tradition where students practice cheers before the game. 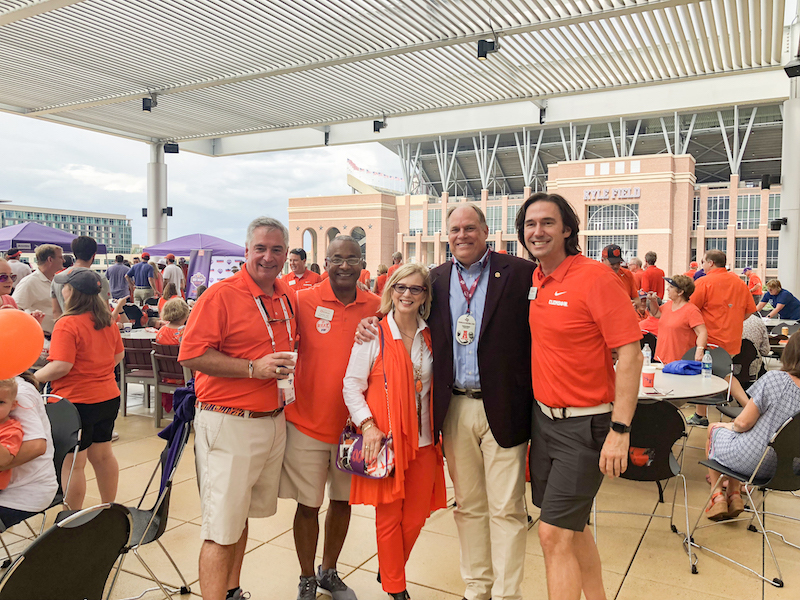 On game day, Texas A&M Association of Former Students President Porter Garner and Clemson President James P. Clements stopped by the Clemson Family tailgate hosted by the Alumni Association and IPTAY to welcome the 850 alumni who attended. 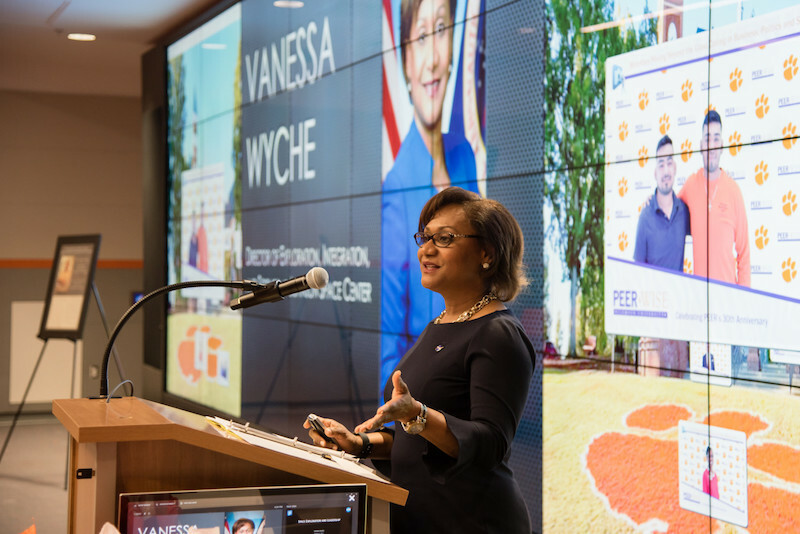 Vanessa Wyche visited Clemson University in February to help PEER & WISE celebrate its 30th anniversary. Now, after a career with NASA spanning nearly three decades, she’s leading the way as the deputy director of Johnson Space Center in Houston, becoming the first African-American to serve in the position when she started in August 2018. Working alongside director Mark Geyer, Wyche is responsible for 10,000 civil service and contract employees at Johnson Space Center and White Sands Test Facility in Las Cruces, New Mexico. For the Lanhams, the Clemson ring runs in the family. “Connection.” That’s what Janice Garrison Lanham ’88, M ’94 feels when she looks at her Clemson ring. Connection to her father, who never went to college but paid for her ring. 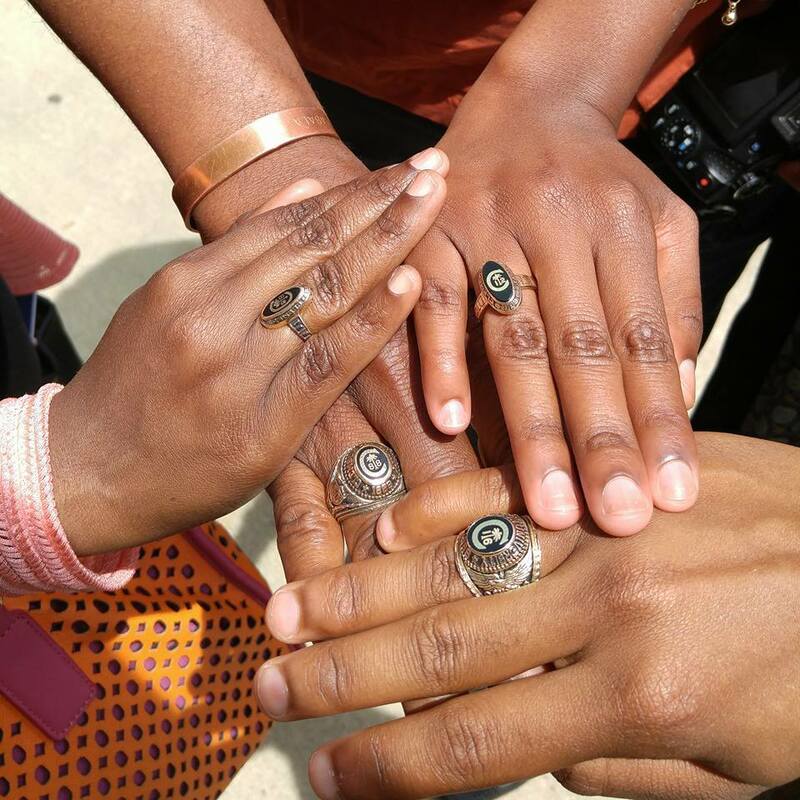 Connection to other Clemson alumni, who have stopped her in line at the grocery store to show their own rings. Connection to her own Clemson family. 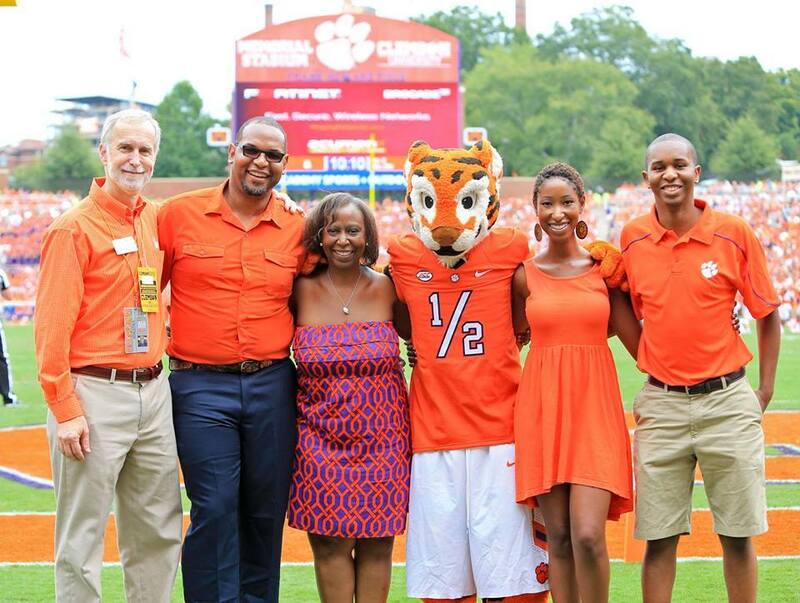 Her husband, Drew Lanham ’88, M ’90, Ph.D. ’97, whom she met while they were students, also teaches at the University, and the couple practically raised their children, Kimberly and Colby, on Clemson’s campus. Both followed in their parents’ footsteps. When Colby, the younger one, graduated, the Lanhams gathered outside of Bon Secours Arena after the ceremony. Do you have a ring story to share? Email shutto@clemson.edu for more information. Visit alumni.clemson.edu/ring for more ring stories. 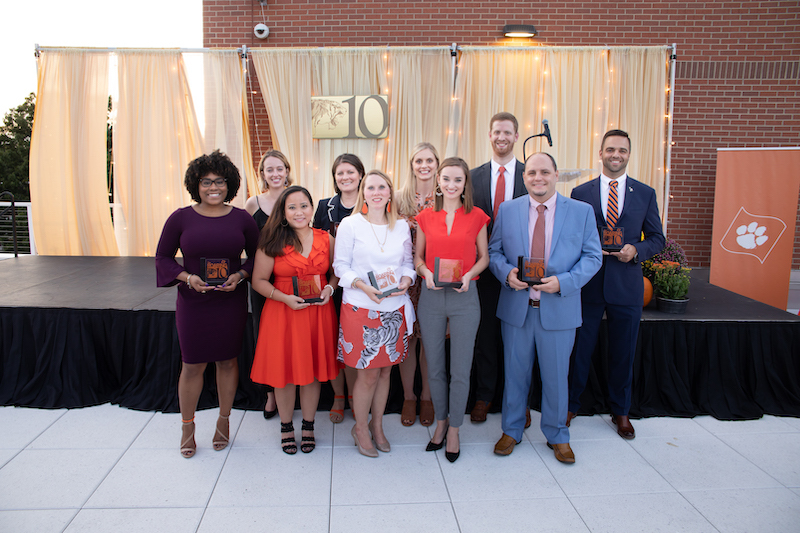 Each year, the Clemson Young Alumni Council recognizes 10 outstanding alumni for their impact in business, leadership, community, educational and/or philanthropic endeavors. These individuals must have graduated within the past 10 years and must exemplify the University’s core values of honesty, integrity and respect. In October, the group announced its 2018 honorees: Claire Reddeck Bowman ’03, M ’08, associate for McMillan Pazdan Smith Architecture; Tyrone Oliver Gayle ’10, press secretary for U.S. Sen. Kamala Harris; Noelle Cabato Holdsworth ’11, employer brand manager for T-Mobile; France L. Jackson ’11, M ’13, software creator and tester at Intel; Aliza Darnell McGuire ’12, prevention services coordinator at Epworth Children and Family Services; Susan Ridgeway Nunamaker ’01, Ed.S. ’09, program coordinator for Clemson’s master’s in teaching and learning; Allison Marshall Puechl ’09, gynecologic oncology fellow at Duke University Medical Center; Don Allen Sharpe Jr. M ’17, student services program coordinator at Midlands Technical College; Dan McKeithan Thomason Jr. ’13, student at the University of Virginia Darden School of Business; and John B. Wright Jr. ’10, realtor at McCoy Wright Realty. Gayle received his award, but sadly, he passed away from cancer on Oct. 25, 2018.